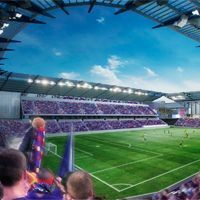 The new stadium in Orlando is to be financed partly with public money, most notably from additional local tax. 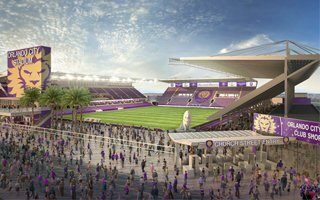 It's part of the effort by Orlando City SC to join the MLS, which requires football-specific stadiums of 18,000-25,000 from its members. The ground designed by Woods Bagot architects is on one hand simple, light and elegant (with membranes and louvres covering it) and on the other – robust and intimidating with enhanced acoustics. Architects name English football stadiums as the inspiration. 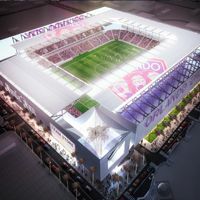 As they’re preparing to fight in United States’ top football league, Orlando City are forced to build themselves a new stadium. Now we know how it’s going to look! 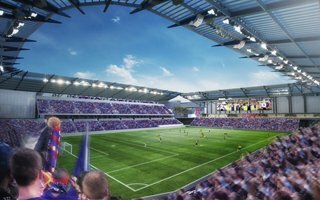 Orlando City aren’t only closer to their new home, but also to becoming an MLS franchise. Both aspirations are closer to reality with Orange County Board of Commissioners approve funds for the new stadium. 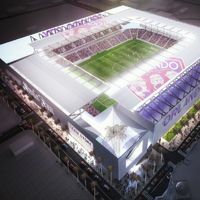 One step done yesterday with Orlando City Council supporting the new stadium with no opposition. Another awaiting on October 22, when Orange County Commission has their say. Then it's time for MLS to give Orlando a spot in the league, Orlando Sentinel predicts. Popularity of football in USA is growing and further clubs aspire to reach MLS status. Latest stadium idea comes from Orlando in Florida, where the local team hopes to become an MLS franchise in 2016.